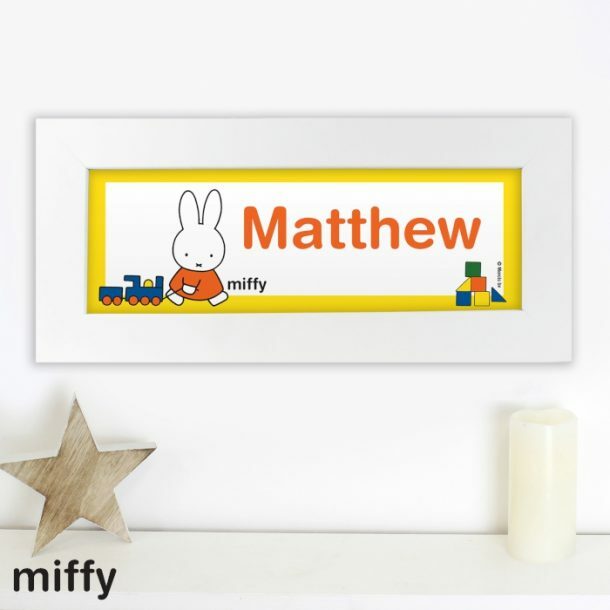 Our Personalised Miffy Name Frame will look the part when hung in any bedroom or nursery! A stylish piece of wall art, mounted and framed in a large white frame and is a fantastic little present for any girl or boy. A super gift that will help any child to recognise their own name, because its personalised too! Any 12 character name will be stylishly printed alongside the colourful Miffy character. Please note that all personalisation is case sensitive and will appear as entered. Please avoid entering your personalisation in block capitals as the name may then be difficult to read. A perfect present at Christmas, for Birthdays or a Christening.